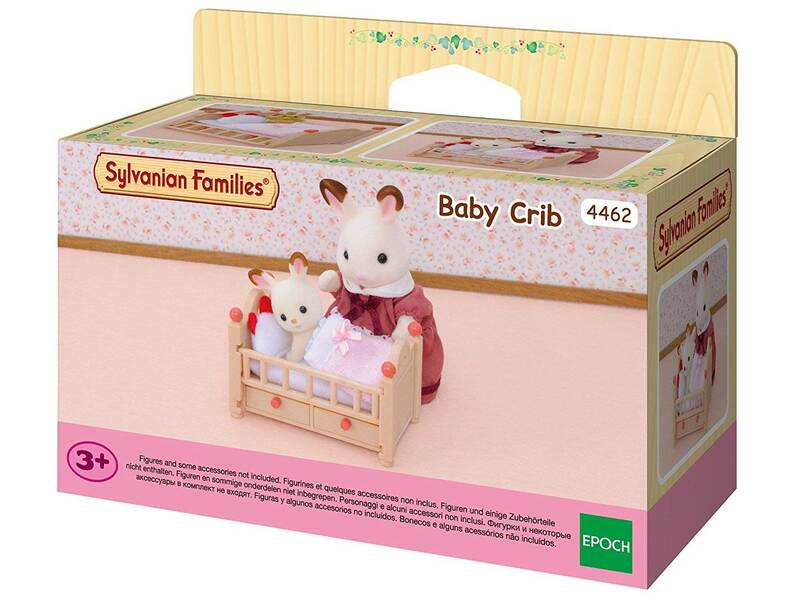 When you tuck up your Sylvanian babies at night to get some zs, you want to know they are in safe paws. Cue the baby crib set, which has two useful drawers underneath as well as a side which you can pop out to help pick up the baby with ease. 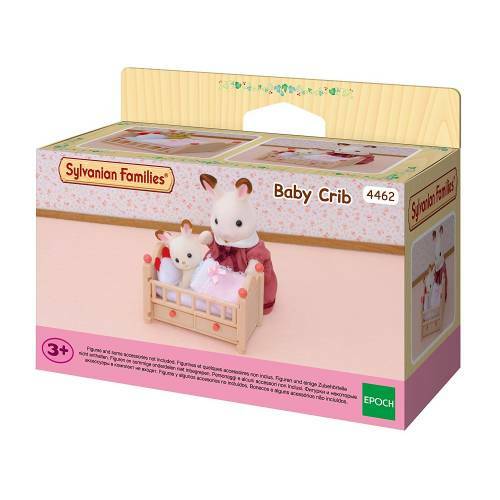 This is the dream baby bedroom set, as it includes an elegant teddy rabbit, pink and white bedding embellished with a ribbon, a mattress and pillow which comes complete with bunny ears. 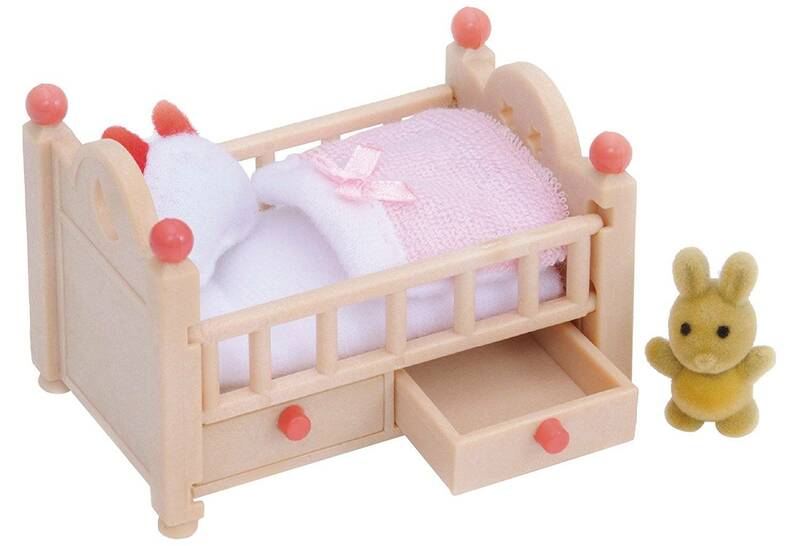 With pink handles and bed knobs as the sprinkles on top of the cake, this sweet little crib is an ideal way to rock-a-bye baby to sleep each night.